Ahoy! Ahoy! The term text in my opinion is limitless. A place where the reader, the writer and the speaker can meet. A circle of definitions that in fact all lead to the same idea. 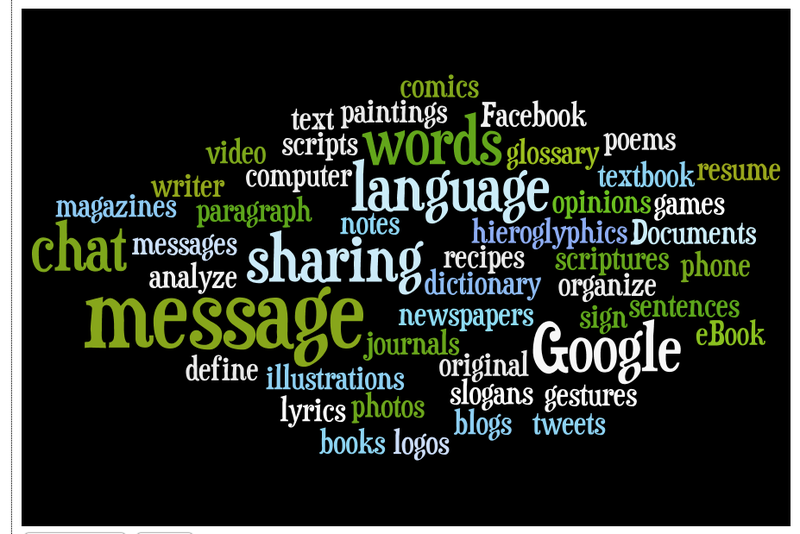 I decided to use wordle to convey my thoughts of “What is Text?”. I believe all text conveys a message. A message in which we share in numerous ways. Ones used for decades others relatively new. Just as in the discussion in the Cambridge forum, we can see new language and ideas appearing, but the age old idea that text is still a message holds true. 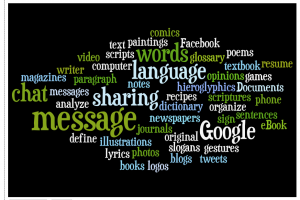 The purpose of text is unshakable, the means in which we chose to share seems to change constantly as we evolve, change and grow.